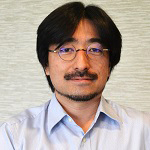 Dr. Ito has broad experience in the area of biochemistry and molecular cell biology with specific training and expertise in eukaryotic gene regulation and cancer. Takahiro Ito, PhD is Assistant Professor in the Department of Biochemistry and Molecular Biology at the University of Georgia. Dr. Ito is a member of the Cancer Cell Biology research program at Winship Cancer Institute of Emory University. The goal of Dr. Ito's research is to understand the mechanism and regulation of cell fate decision in stem cells and cancer. Through combined approaches of biochemistry and genetics in both unicellular (Saccharomyces cerevisiae) and multicellular (Mus musculus) organisms, he has studied eukaryotic transcription regulation by RNA polymerase II. His research has revealed indispensable roles of transcript elongation in eukaryotic gene regulation. His experiences in generating and analyzing genetically modified mouse strains provide an opportunity to work on vertebrate embryonic and adult tissue stem cells.